Windows may seem easy to clean, but when we talk about windows with intricate designs of metal carvings and high-rise windows, that’s when the problem occurs. 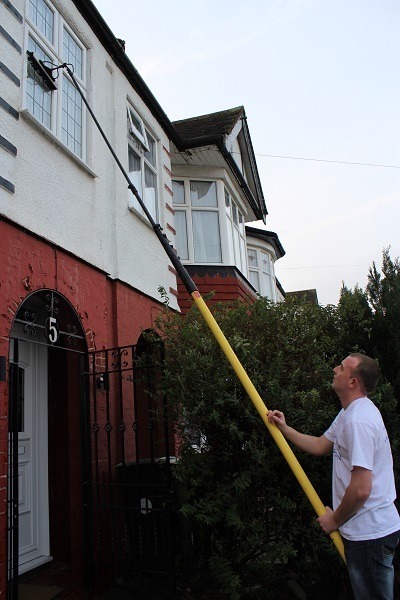 You need to consider hiring professional window cleaning in London. Premium Cleaners London have been in the cleaning industry since 2006 and until today, we continue to provide the best cleaning service at reasonable rates. No wonder why our new and loyal customers list kept growing. Why should you use our window cleaners in London? All our window cleaners are carefully vetted. All our workers underwent company-initiated training to ensure they are more than ready for the job. Our cleaners are honest, friendly and trustworthy. They clean windows in a timely manner while assuring they do a great job. Our cleaning company and all cleaning staffs have public liability insurance. With this, there’s a guarantee that you don’t have to deal with any hidden charges and unwanted expenditures. The company provides purely high-quality cleaning service. Our window cleaning service, just like any other services have reasonable prices. We do not tolerate over-pricing, what we quote you on your booking is the price you will pay, unless stated otherwise. All the cleaning equipment and solutions we use are of the best quality thus, you don’t have to worry about your windows being damaged. With Premium Cleaners London, your windows are well taken care of. Call us now at 020 3322 6018 to book a service or know more of what we can offer. Our customer service representatives will surely love to help you with giving all the information needed about window cleaning in London.